Jude eats a banana at least once a day. At night when he can’t sleep he asks for a drink and a banana. Joe and I also love to eat bananas. I don’t know how many bananas we go through in a month but I’m sure it’s an insane number. So I was super excited to becoming a Chiquita Mom. As a Chiquita Mom I’m learning about great new recipes that include bananas and tips and tricks on how to choose the best bananas. Chiquita bananas are full of three kinds of natural sugar and natural vitamins and minerals, making them an ideal source of energy for moms like you. The Chiquita banana may seem ordinary but it packs a punch without the gimmicks. Not to mention, Chiquita bananas are so versatile in the kitchen, easily-transportable and cost-efficient! 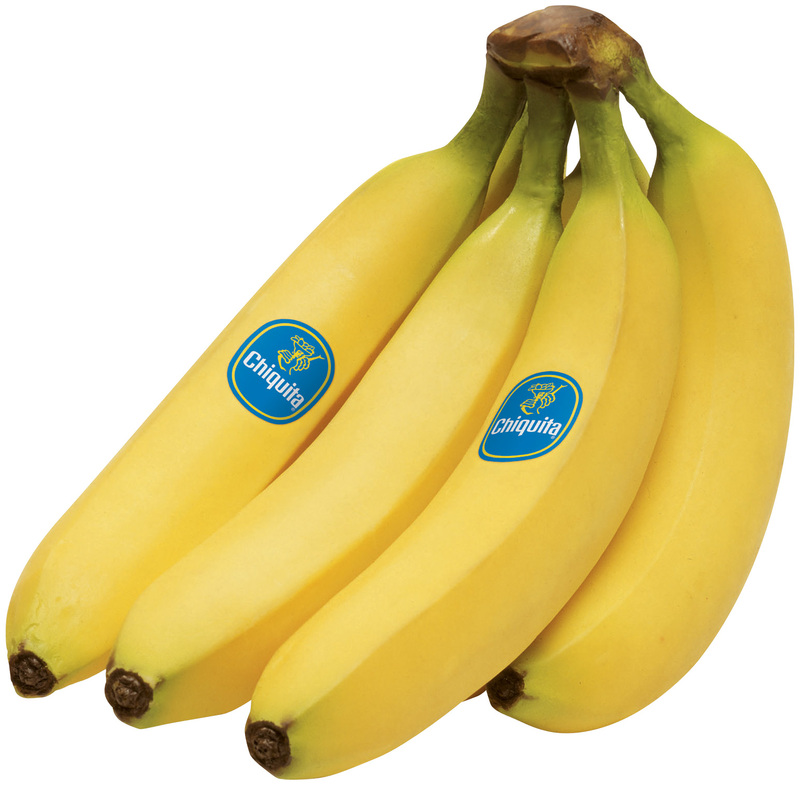 Did you know that Chiquita bananas provide potassium, Vitamin B6 and complex carbs? They also have manganese (essential of metabolizing fats, carbs and protein for energy) and Vitamins A, C, E and K, all occurring naturally. Visit Chiquita and tell me a banana recipe you would like to try. Please leave a valid email in the comments if your Blogger profile is private so that I can contact you if you win. Giveaway ends 12.31 at 11:59pm EST. Winner will be notified by email and has 48 hours to respond or a new winner will be chosen. See giveaway rules for more information. I received the featured product in exchange for my honest opinion. The opinions expressed in this post are my own and not influenced by the company.